Rashad Evans will appear on NBC's Late Night Show with Jimmy Fallon to promote his upcoming match against Tito Ortiz at UFC 133. Almost everyone knows that Rashad Evans can go face to face with any fighter inside the Octagon. However, no one ever saw him appear in a late night television show. The former UFC light heavyweight fighter will try to do that when he appears on ‘Late Night’ with Jimmy Fallon this Friday night, July 29. 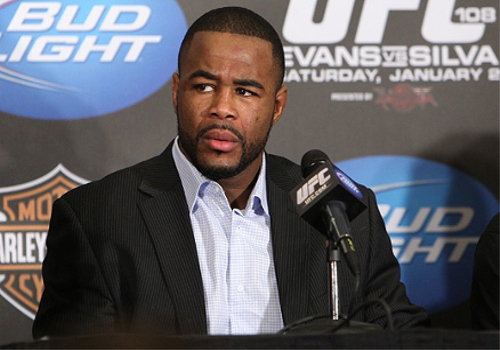 Rashad Evans will be on the NBC show to promote his upcoming main event bout against Tito Ortiz for the UFC 133 in Philadelphia. This will be the first time he will appear on the late night show hosted by former Saturday Night Live personality, Jimmy Fallon. The said show will air on Friday night, July 29 at 12:35 am ET/PT.